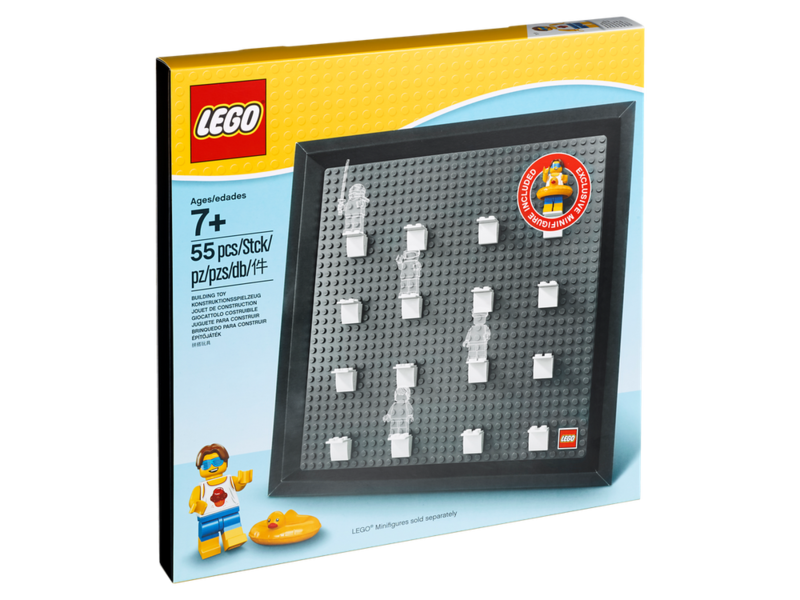 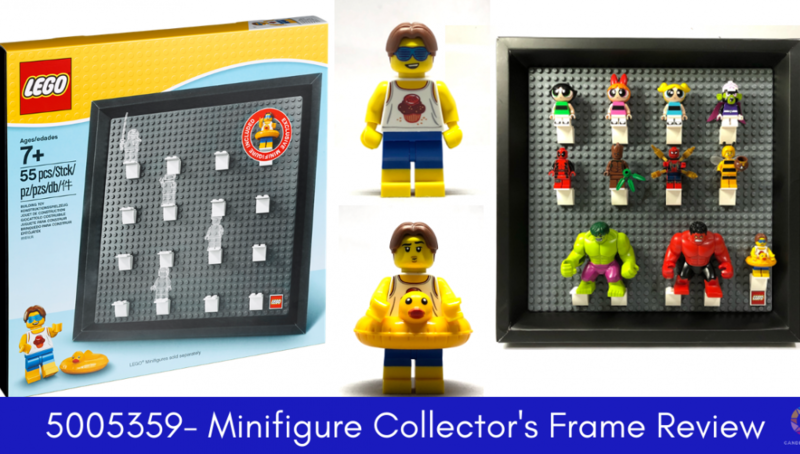 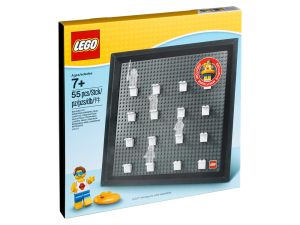 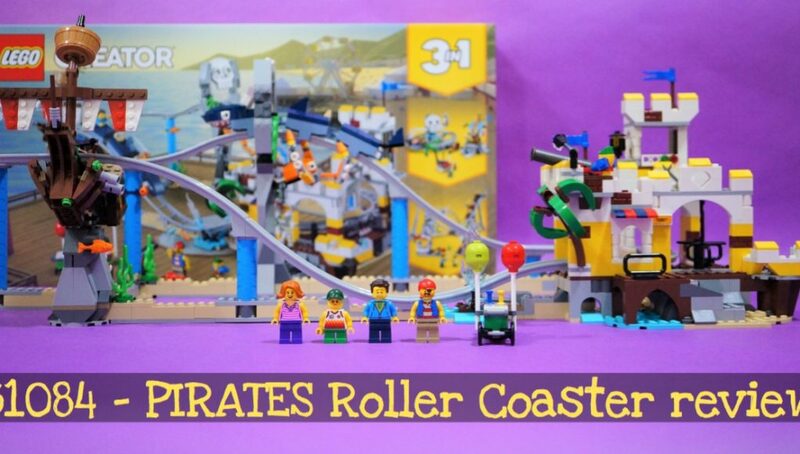 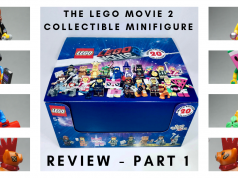 This will be a short review on the giveaway with purchase for October 2018, the 5005359 Minifigure Collector Frame. 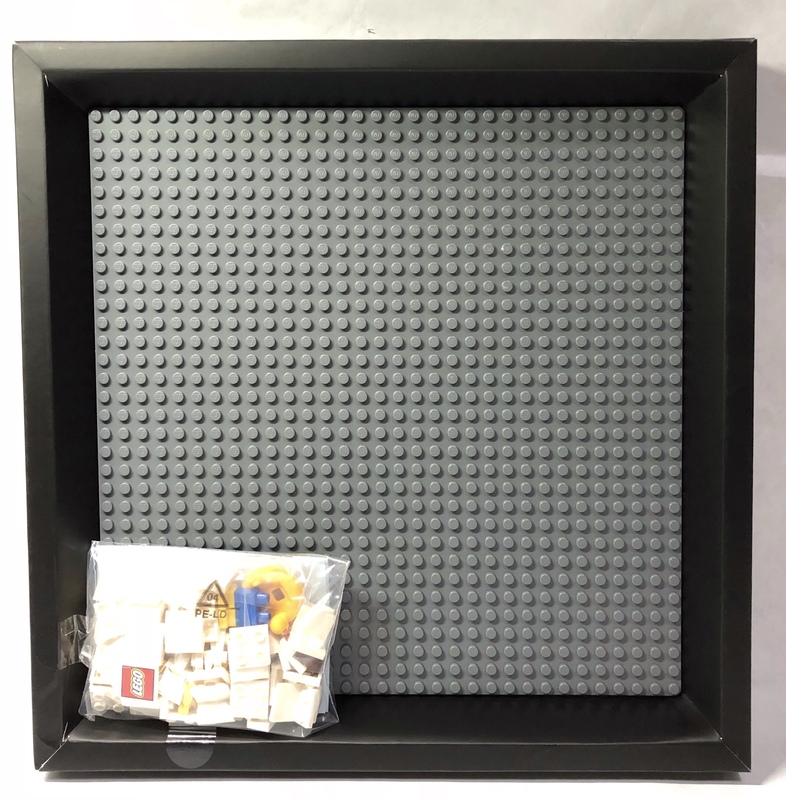 Contents of the set include a cardboard frame with a 32×32 baseplate glued on. 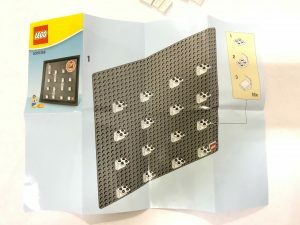 Front of frame is left open. 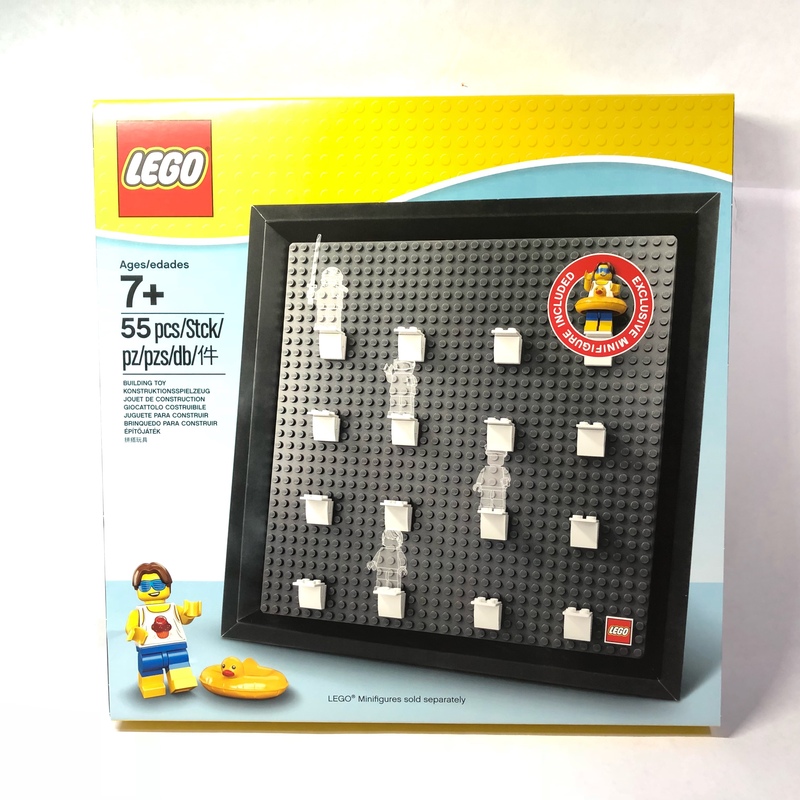 The back of the frame shows us the two different display options for this frame including a hole if you intend to hang it up as well as a kick-stand so that it can freestand on any flat area. 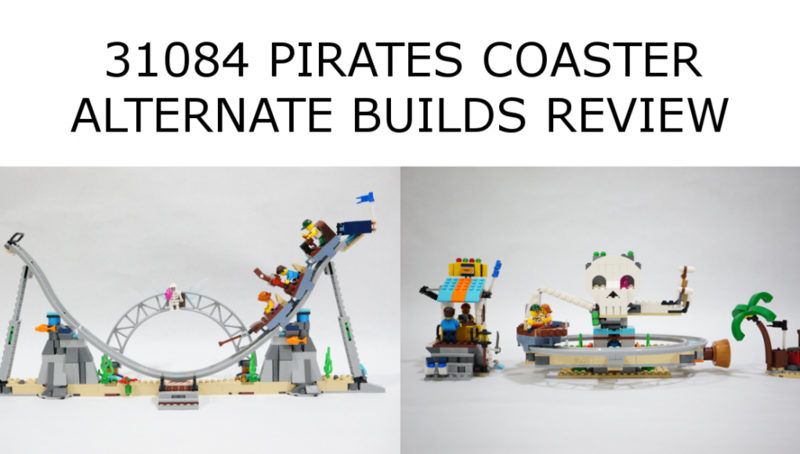 Although there have been two similar releases as mentioned in the beginning of this article, this is the first time we are testing this type of display out and after assembling the bits and pieces of the stands, (16 minifigure stands are provided consisting of 3 pieces for each stand) it does admittedly look pretty good. 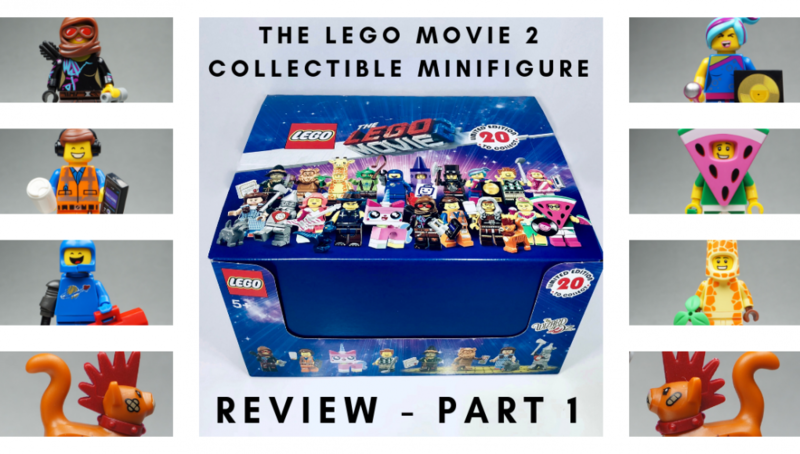 The minifigure stands are easily re-located within the baseplate if one needs to adjust for the different sizes of the figure to display. 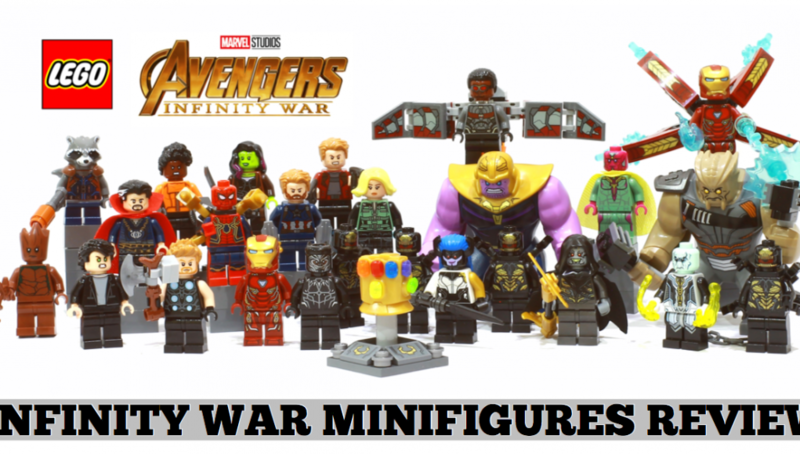 We easily accommodated big-figs such as Hulk and could have sneaked in some Raptors from the Jurassic Park theme too. 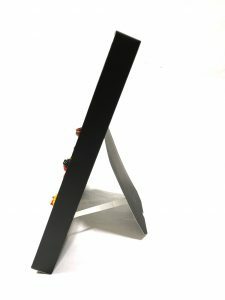 However, we have some reservations about the potential longevity of the kick stand provided. As you can see in the picture below, it has already exhibited some bending due to the weight of the frame and the minifigures. 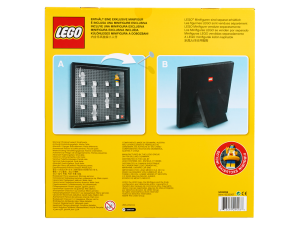 The open front also means that this frame is meant more for reusability and ease of swapping things around and not as a means to display your minifigures while protecting them from dust. 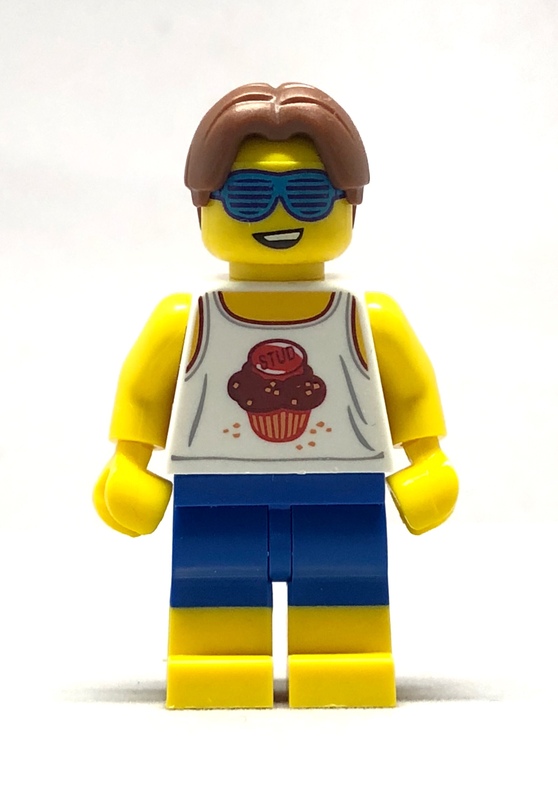 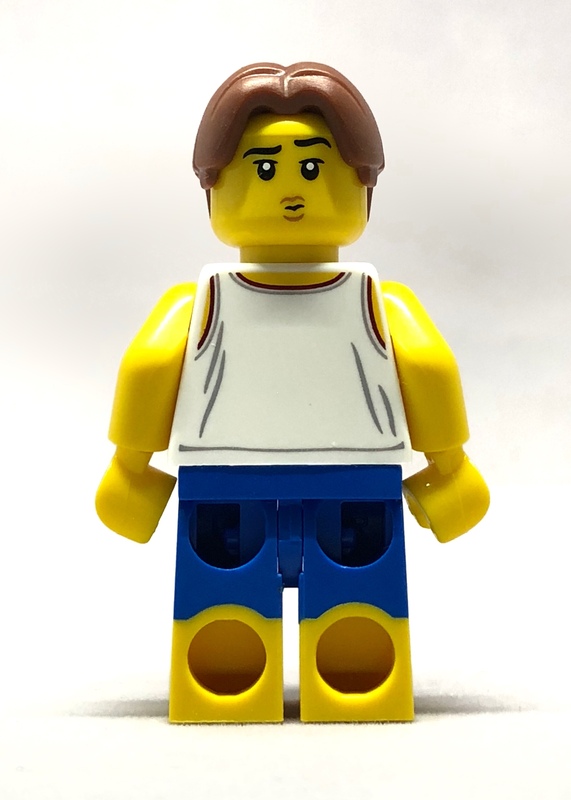 Moving on to the exclusive minifigure, it is a pretty good one starting with the new torso print (with a “STUD” cupcake), what looks like a new minifigure head with a blue shades in front and an alternate print at the back and even a dual moulded leg. 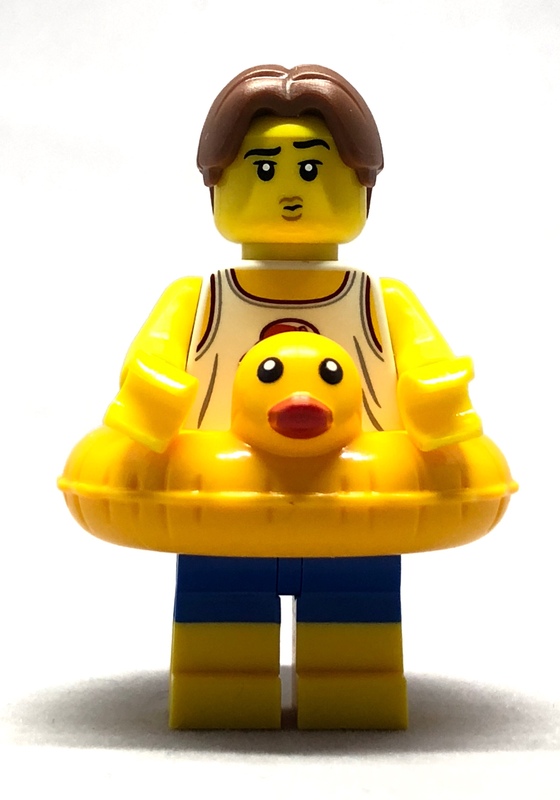 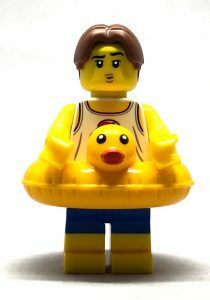 Accessory lovers would be excited to find the first maskless version of the yellow rubber ducky float, first introduced with Vacation Batman, in this set as well. This frame is perfect for people who like to swap their display frequently but some DIY strengthening on the kick stand might be needed if you decide to display it free standing. 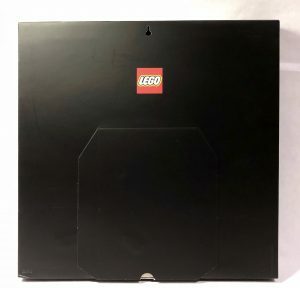 The exclusive minifigure is the cherry on top of the icing and the printed 2×2 LEGO tile included is a total surprise. 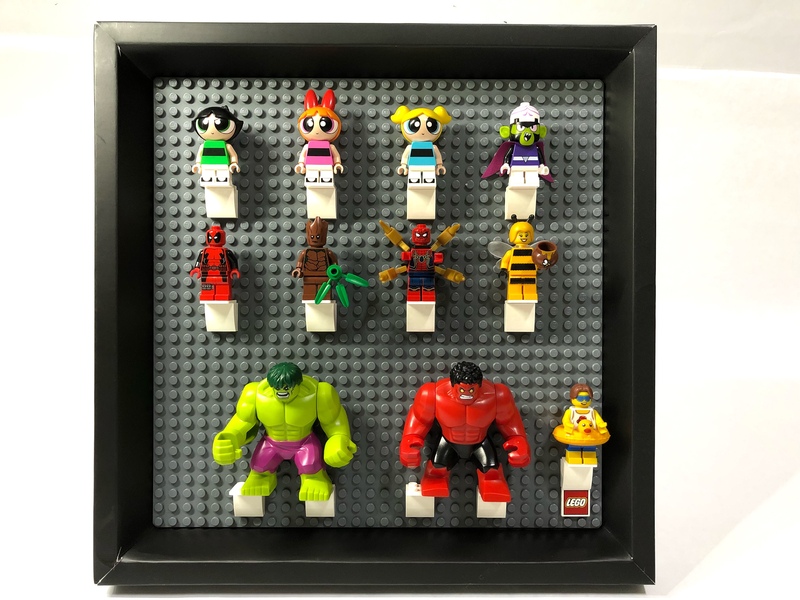 This frame is perfect for people who like to swap their display frequently but some DIY strengthening on the kick stand might be needed if you decide to display it free standing. The exclusive minifigure is the cherry on top of the icing and the printed 2x2 LEGO tile included is a total surprise.  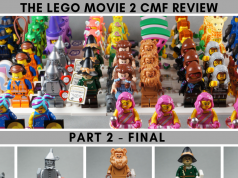 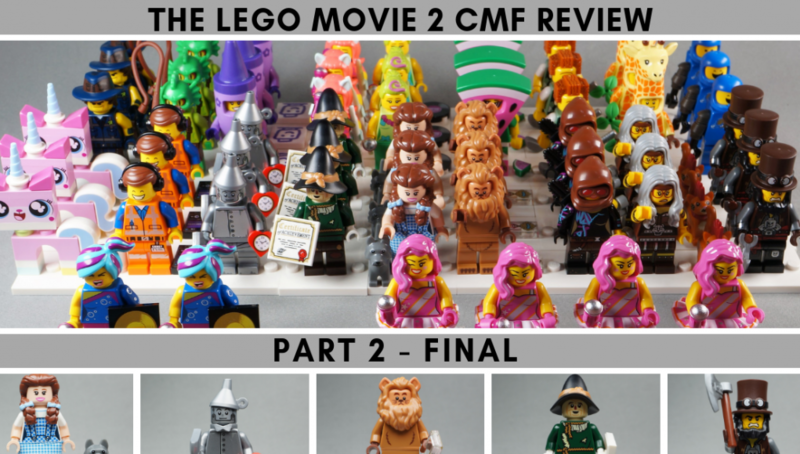 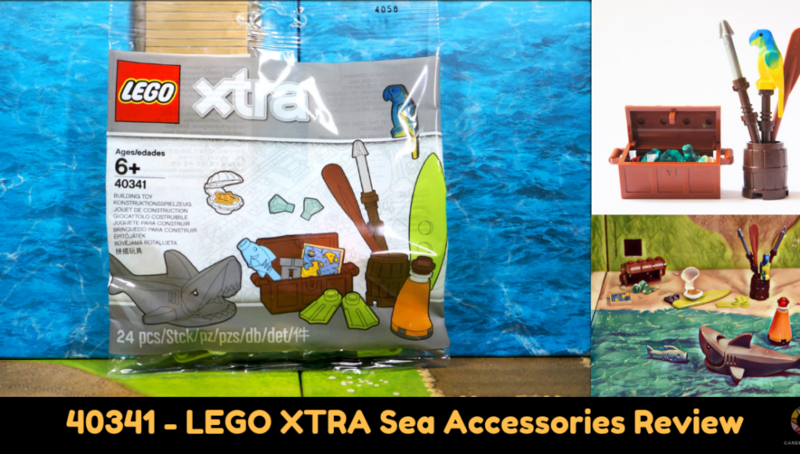 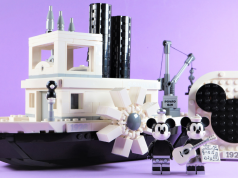 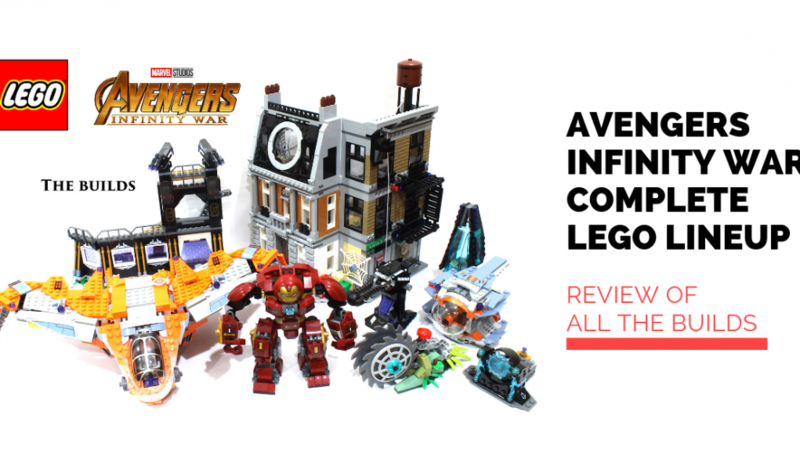 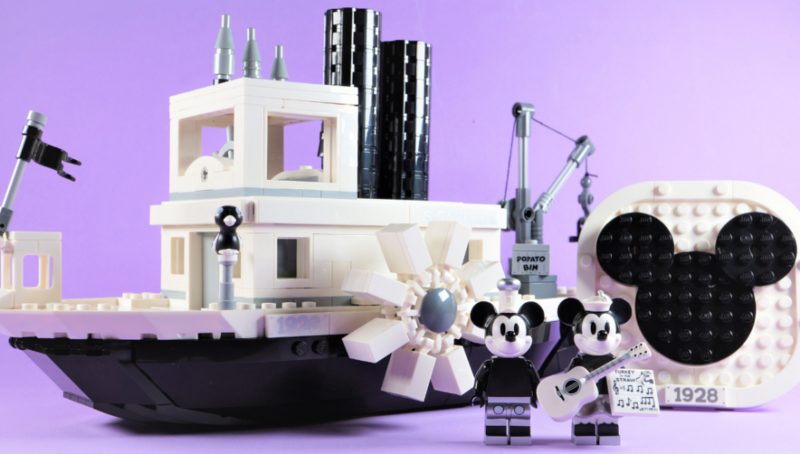 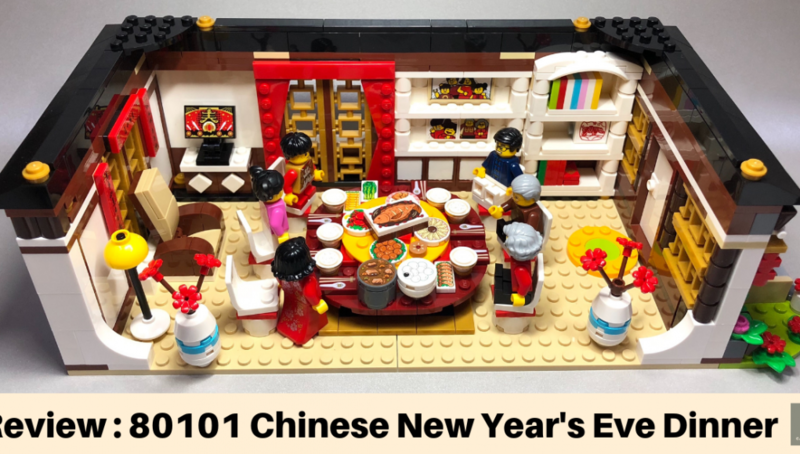 Previous articleFirst LEGO IDEAS review of 2018 – 2 sets chosen for official release!